EXAIR has introduced a new safety air gun featuring the smallest back blow nozzle available to blow debris and liquids from inside narrow pipes. 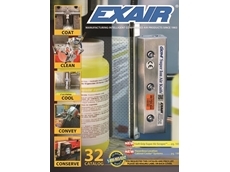 EXAIR's Catalogue 32 is a full colour technical guide that serves as the source for compressed air savings and safety. 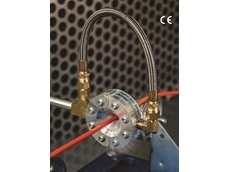 EXAIR introduces the new 3/8-inch Super Air Wipe designed to blow off, dry, clean or cool material with a 360° airstream. Compressed Air Australia presents a new safety air gun from EXAIR, designed to help remove stubborn debris within industrial facilities. 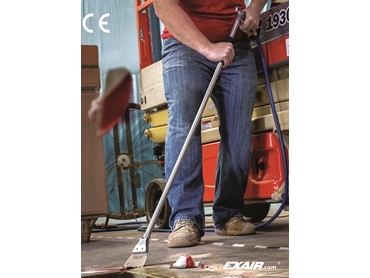 EXAIR’s new Soft Grip Super Air Scraper features a patent pending design that uses a scraping blade along with powerful compressed air flow for debris removal. 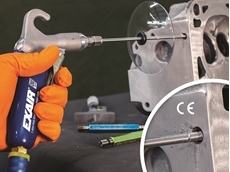 The safety air gun is ideal for removing caulk, sealant, adhesives, tape, paint, stickers, labels, grease, lubricant and difficult-to-sweep metal chips, flakes or discs. Key features of the new Soft Grip Super Air Scraper include an electroless nickel plated spring steel scraper used in combination with EXAIR’s 2" (51mm) Flat Super Air Nozzle to provide power, durability, corrosion resistance and comfort; CE compliance; extensions available from 2" up to 72" (51mm up to 1829mm) in length to aid in cleaning table tops and inside machines, and reaching the floor or other remote surfaces; and air nozzles meeting OSHA standards for dead-end pressure and noise exposure. Chip shields are also available. 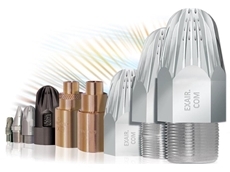 EXAIR’s safety air guns use engineered air nozzles for high performance, maximum safety and minimal air consumption. The Heavy Duty and VariBlast safety air guns provide higher force and variable flow, respectively. 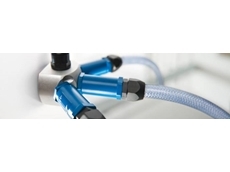 All EXAIR safety air guns are available with extension pipes and chip shields. 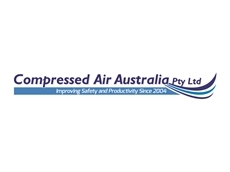 For more information, please visit the Compressed Air Australia website, www.caasafety.com.au or call 1300 787 688.